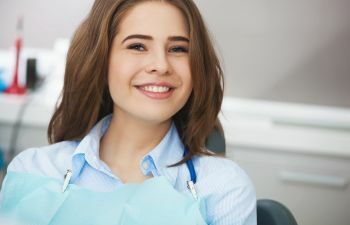 Most people with a general knowledge of dental care have heard the term “dental plaque.” You probably know plaque as a harmful substance that needs to be removed on our teeth if you want to avoid cavities or gum disease. The truth is, plaque is not only a risk for your dental health, it can be a threat to your overall health too. The connection between mouth health and body health is a strong one. We commonly think of the mouth as an entry point for the digestive system. However, many of the recent developments about mouth-body link suggests that we need to start thinking of the mouth as an entry point into the circulatory (bloodstream) system as well. After all, there are many medications (ranging from those that address nausea to those that treat heart conditions) that involve placing a tablet under the tongue for quicker absorption and treatment. This proves how easily connected the mouth is to our circulatory system, which means a clean mouth is more important than ever. When we skip our routine cleanings or fail to keep up with our oral hygiene habits, plaque can accumulate on the surfaces of our teeth and along our gum line. They can then release bacteria and toxic byproducts into our mouth, which can circulate in our oral cavity and eventually enter our bloodstream. Evidence show that this can play a major role in the formation of arterial plaque accumulation. Medically speaking, clogged arteries typically suggests arterial plaque from cholesterol, fatty foods, etc. However, dental plaque can also be a contributing factor – and it is one that can be avoided with routine brushing and flossing. In addition, respiratory issues may also be traced back to the presence of oral bacteria as its being inhaled. The next time you slack off on your flossing habits or think it’s no big deal to skip your routine dental cleaning, consider the ways in which poor oral health can affect major functions in your body! Save your heart and your smile by scheduling your dental exam with Dr. Mitzi Morris in Roswell.